Tires in two different sizes along with axles and wheel hubs to make sets of wheels. 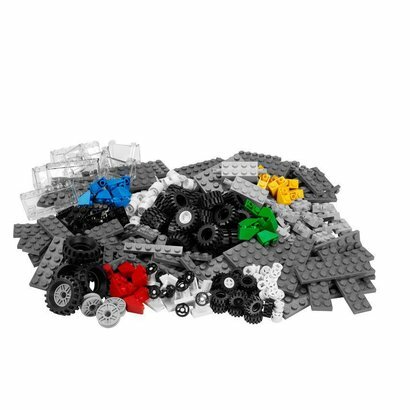 A great set to add mobility to any LEGO® System construction. New to LEGO® Education? Find out more about our Play Themes range. Downloads: Discover a whole range of downloads for Early Learning, including activities, building instructions, colouring pages and inspiration cards.